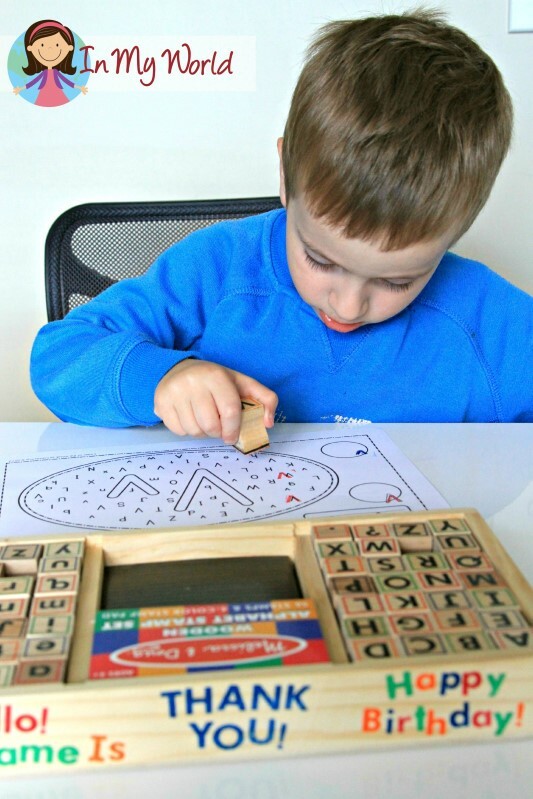 As we have always done on day 1 of our Preschool Letter of the Week, I brought out our Alphabet play dough mats and Filip first traced the letter V with his finger, then built them with some play dough. 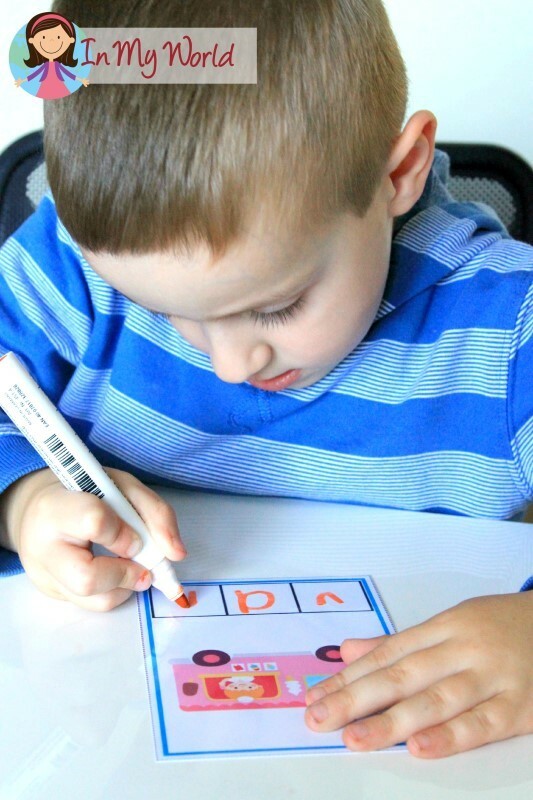 Filip then practiced writing the letter V with dry-erase markers on our Alphabet Write and Wipe cards. 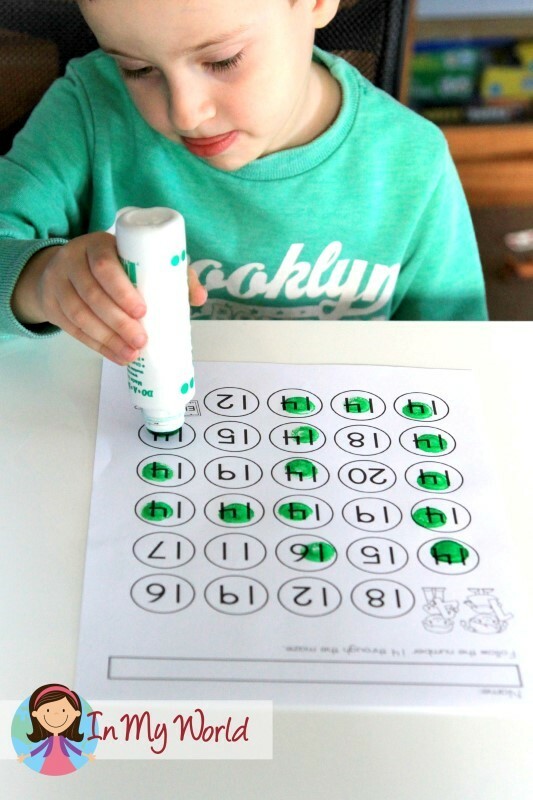 To aid upper and lower case letter recognition, Filip did an Alphabet Find activity using our alphabet stamps this time. We also focused on beginning sounds. And then we brought out our Sound Hound activity and we sorted the picture cards by beginning, medial and final sound positions. We finished day 1 with a number 14 play dough mat. We started day 2 started with a letter V maze. 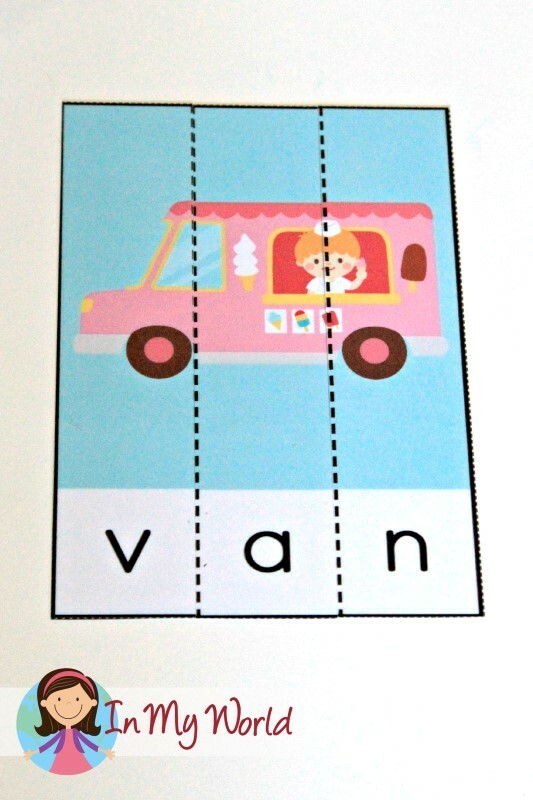 We also read some CVC words and our very first CVCC word using our letter V Word Slider cards. 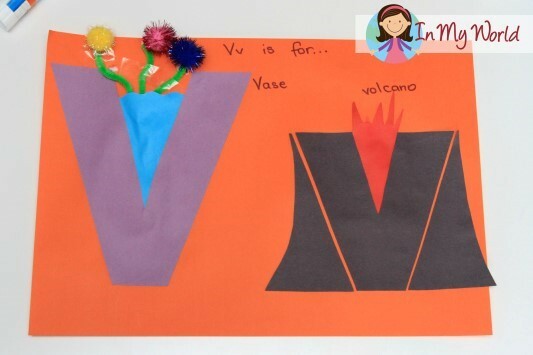 Next, we did a letter V and word word page. 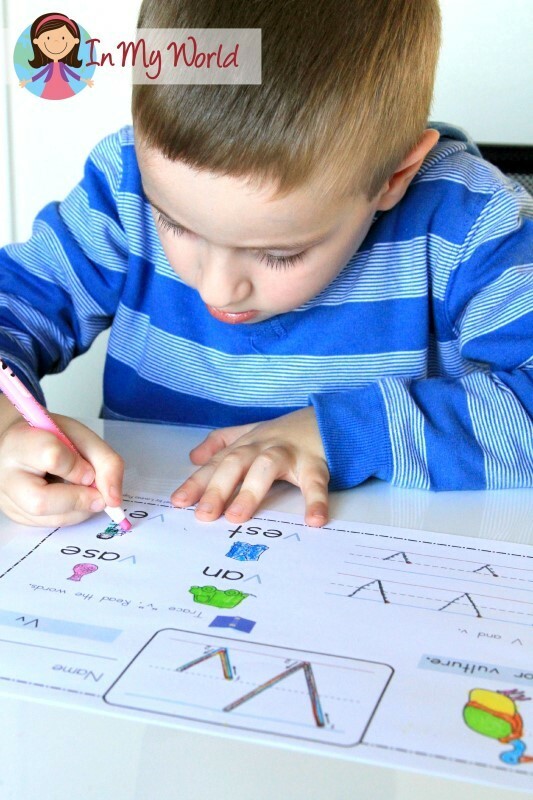 This has become a favourite for us – Filip loves that he can independently read the words on the page and I love seeing his confidence grow as a beginning reader. 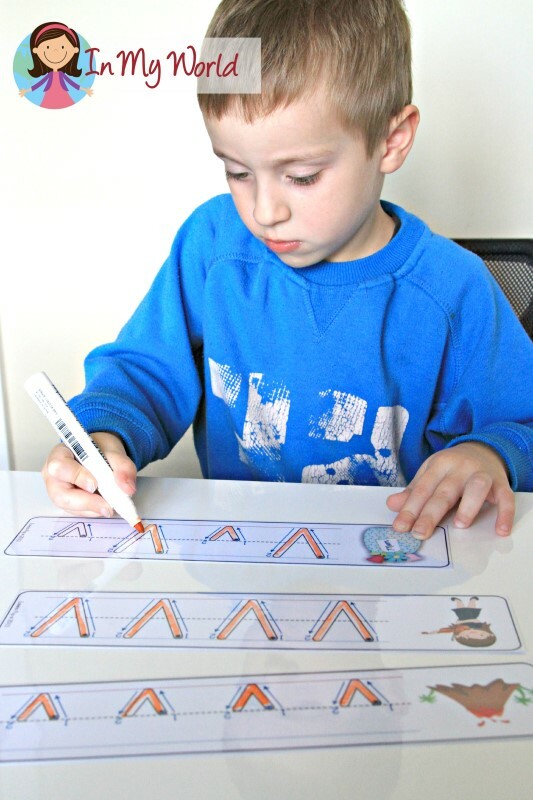 Then Filip did some beginning letter V puzzles. We finished the first day with our Phoneme Segmentation cards. 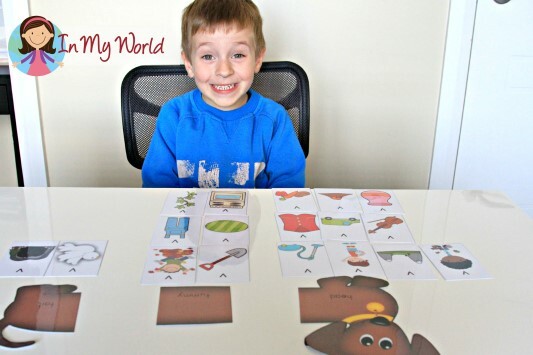 I was one proud mummy watching my little fella’ sound out each word and then write each letter in the correct box. 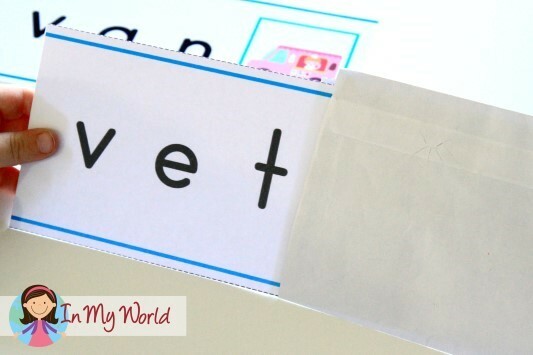 We started Day 3 with a beginning letter V CVC cut and paste activity – there were only two words on this particular page! Easy peazy! 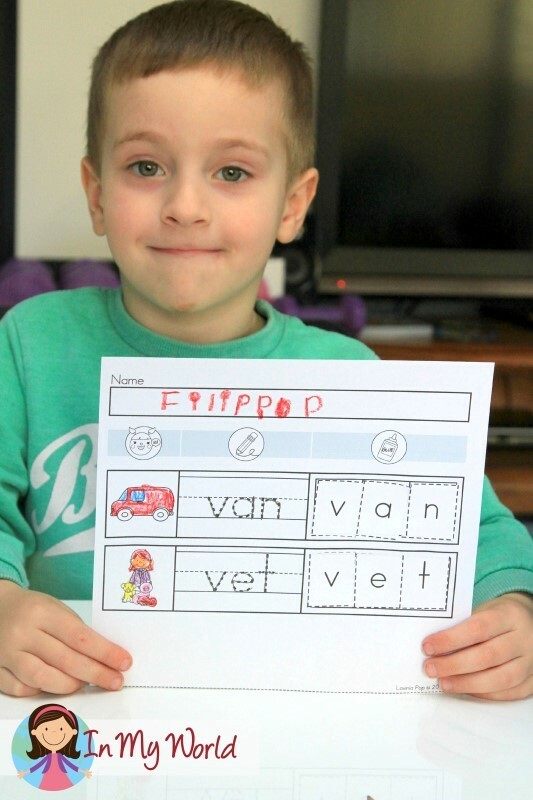 Next, Filip read the -en Word Family Flap Flap reader. Not forgetting about our Number study, Filip dotted his way through a Number 14 maze. And then a Number 14 worksheet. We finished our Preschool Letter of the Week V with an upper and lower case craft. And there you have it! Preschool Letter V all done! These are truly a inspirational!!!! 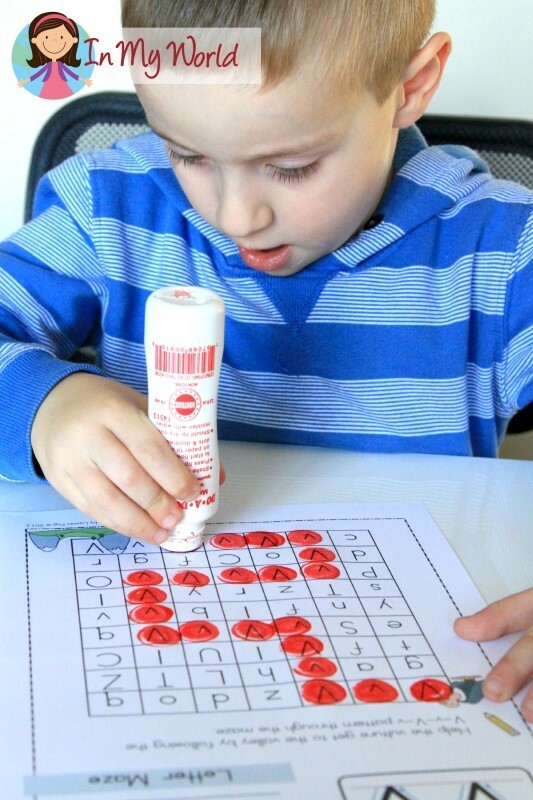 Do you have a link to numbers 1-20 for the number worksheet? 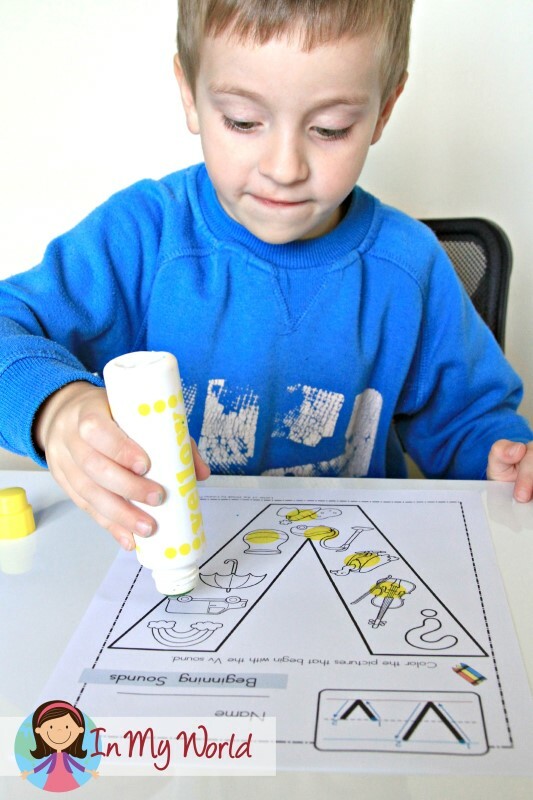 This is a great worksheet and i love that they can color the right amount. The teen number (14) worksheet is particularly helpful for me! This may be a silly question but I was wondering how I would edit this to make all the teen numbers?